A super soft cleanser that combines the extra mildness of a lotion with the cleansing effect of active micelles, which capture smog, dirt, and make-up, leaving your skin clean, fresh, and incredibly soft. 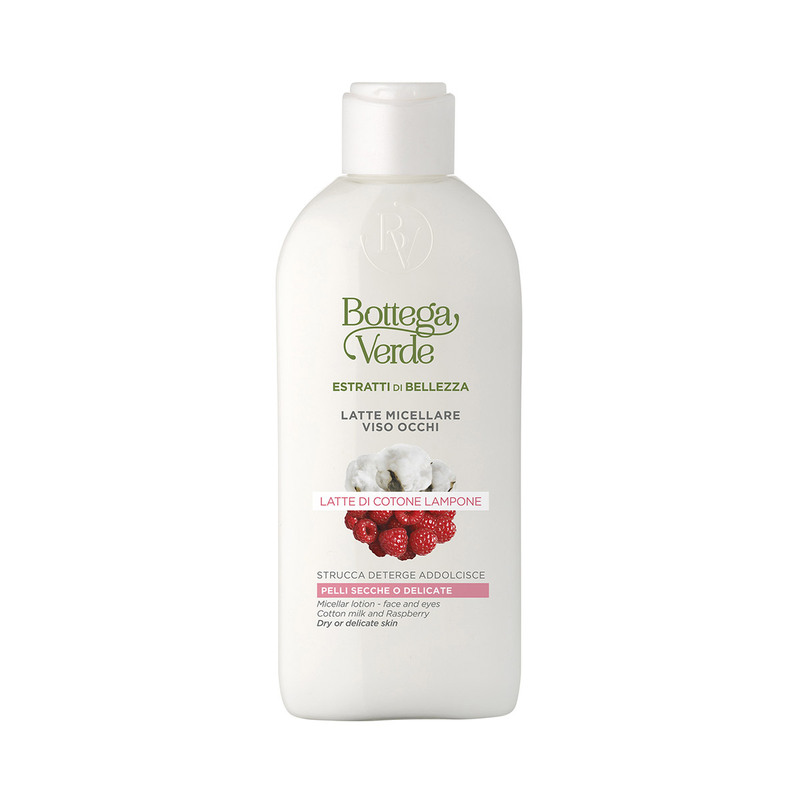 Its mild formula with Raspberry extract and Cotton milk leaves no residue. Say goodbye to tight skin! A super soft and extra mild cleansing lotion that, in contact with the skin, releases active micelles that capture smog, dirt, and make-up. It leaves your skin clean, fresh, and incredibly soft! Direction for use:Use a cotton pad to rub a small amount of the product on your face. No rinsing is required. Suggestions:For all those who want a super soft cleansing lotion for even delicate skin. Characteristic:Choose it if you want a product that contains no parabens, formaldehyde releasers, SLES, colourings, mineral oils, silicones, ethoxylates, EDTA, or fragrances.